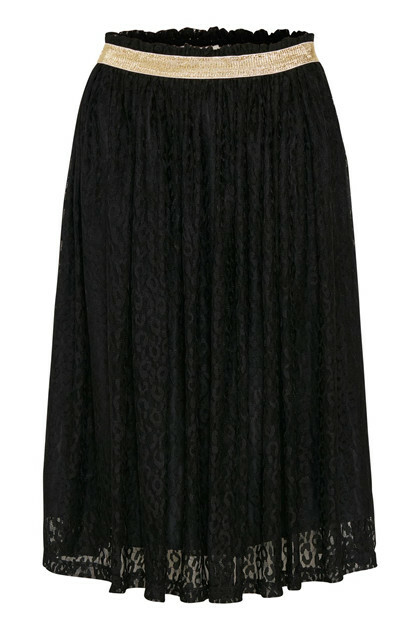 Really nice skirt with elastic waistline from CULTURE. The waistline has a feminine gold lurex stripe. 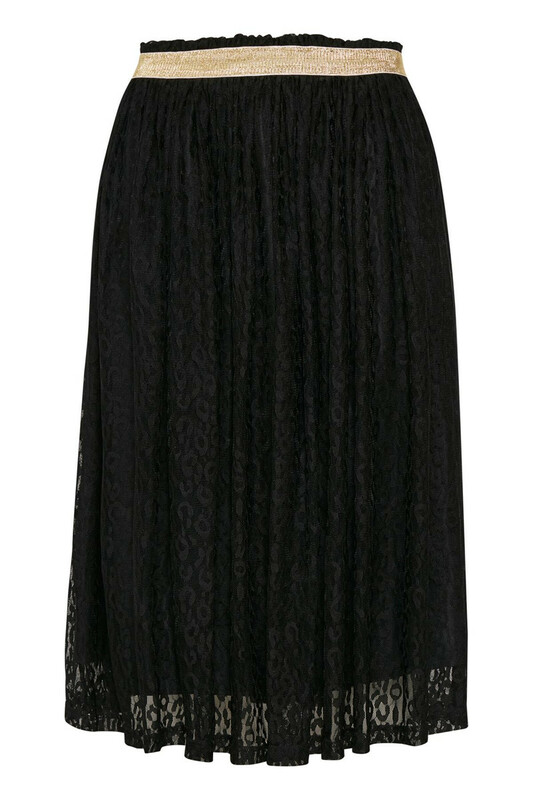 The skirt has a beautiful mesh layer in lace animal print and at the top it has these little cute ruffles. The skirt can undoubtedly be used for every occasion. It's a very attractive skirt that's easy to style.